The 2017-2018 Shawnee State University women’s basketball program achieved its first No. 1 ranking since moving up to NAIA Division I from NAIA Division II (since 2010-11) on Tuesday. Shawnee State’s Madison Ridout will leave the Bears’ women’s basketball program as arguably one of the greatest all-around talents that the program has ever seen. When a team loses both of its starting post presences, one being its leading scorer and rebounding presence and the other being a multi-year starter who improved as much as any player that Jeff Nickel has coached since he took over the helm of the program in the 2013-14 campaign, one would expect a small step back. The Shawnee State women’s basketball program, however, is not your ordinary program. On Tuesday evening, that fact was confirmed, once more, by fellow NAIA programs across the association’s Division I realm as the Bears — who have won 18 straight affairs and haven’t even lost a conference matchup since Jan. 21, 2017, were named as the No. 1-ranked program in the country in the latest version of the NAIA Top 25 Coaches Poll that was released to the general public. Shawnee State overtook Freed-Hardeman (Tenn.) for the No. 1 position. And as much as Shawnee State’s program has achieved since its official formation under the university umbrella, which includes a national championship in 1999, two straight Mid-South Conference regular season titles, and three straight Mid-South Conference Tournament Championships, the accomplishment of such excellence in this particular scenario cannot be diminished. But as with most units, the journey, or, in Shawnee State’s case, the road to No. 1, hasn’t been easy. 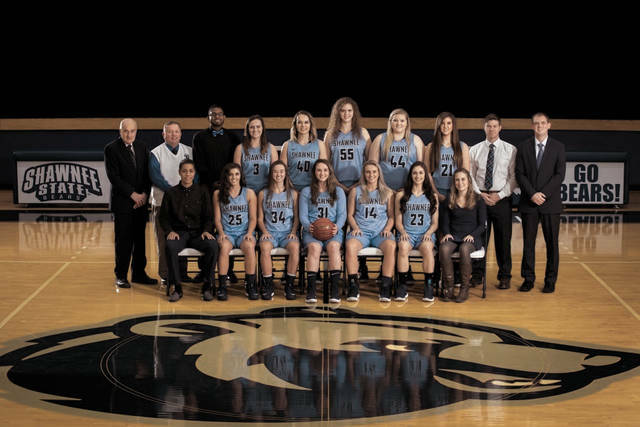 In having to replace the two aforementioned figures in NAIA All-American Jonessa Moore and valuable stretch four Jen Arnzen, the Bears got off to a 5-3 start — a beginning that most teams would be pleased with but one that isn’t the norm for Shawnee State, who won their first seven games in the 2014-15 and 2015-16 seasons and won their first 15 games the year prior. And the contributions from the young freshmen that Nickel recruited have been right at the center of it all. While local players Laken Smith and Hagen Schaefer, along with Sienna King and Leah Wingeier, haven’t lit up scoreboards, the quartet have all done a tremendous job of consistently producing four to six points per contest while doing the little things normally seen out of upperclassmen. Schaefer’s gritty defense and three-point shooting, along with the low-post bursts that King, Smith, and Wingeier have brought to the table, have proved to be an outstanding compliment to what the elder players on the floor have put together themselves. However, the veteran leadership that has been brought to the table at Shawnee State has arguably been the biggest component to the success that has occurred within the Bears’ program. First, there’s Madison Ridout, who has developed from a strong slashing guard with a big scoring punch into arguably the best all-around talent in the NAIA ranks. Ridout, who scored more than 1,300 points during her high school career at Jackson, is tied for first on the unit in points per game (14.5), leads the team in rebounds per game (7.2) and steals per game (1.8), and is second in assists per affair (2.7). And if all that wasn’t enough, the senior is doing all of that previously mentioned work while shooting an abnormally high 53.4 percent from the field. Her presence, as evident by the numbers, is a big result why Shawnee State has given up a stout 60 points or less in 16 of its last 18 contests. Ridout, however, is far from the only standout in the backcourt. Ashton Lovely (14.4 points, five rebounds per game) has battled off nagging injuries en route to dazzling people with her three-point shooting (team-high 45 treys on 36.3 percent shooting) and her array of dribble penetration and passing exploits that are a must watch. Hannah Miller — who is tied with Ridout for the team lead in points per contest — also displays a feathery touch from deep and is arguably the most improved defensive player on the unit since coming into Nickel’s program from nearby Ironton St. Joseph. And Bailey Cummins, who is only of sophomore eligibility, is averaging 13.8 points, 4.6 rebounds, 4.5 assists, and 1.76 steals per contest, is shooting 50 percent from the field, 44.8 percent from deep, and 90 percent from the free throw stripe, and holds a 2.3-to-1 assist-to-turnover ratio — all while running the show for the Bears. To round out the lineup, a pair of experienced and crafty veterans in Shania Massie, who Nickel says “is so valuable to us, plays great defense, and has a knack for making hustle plays,” along with Lydia Poe, who has brought “a strong inside game and rebounding element to our team,” according to Nickel, have been huge for a team that is second in the country in field goal percentage (47.7 percent) and defensive field goal percentage (33 percent), third in scoring (81.2) and three-point field goal percentage (23.5 percent), and fifth in scoring defense per contest (54.85 points per). The above pair’s contributions in those above categories are evident in Poe’s 9.5 points and six rebounds per contest on 58.8 percent shooting off of the bench in just 17 minutes and Massie’s 7.4 points, 4.1 rebounds, and 2.3 assists per contest in 27 minutes off of the pine. With a talented unit coming into the Frank and Janis Waller Gymnasium in the form of No. 3-ranked Campbellsville, Nickel and his crew know that winning a 19th straight affair will, indeed, have its ups and downs as the game goes along. 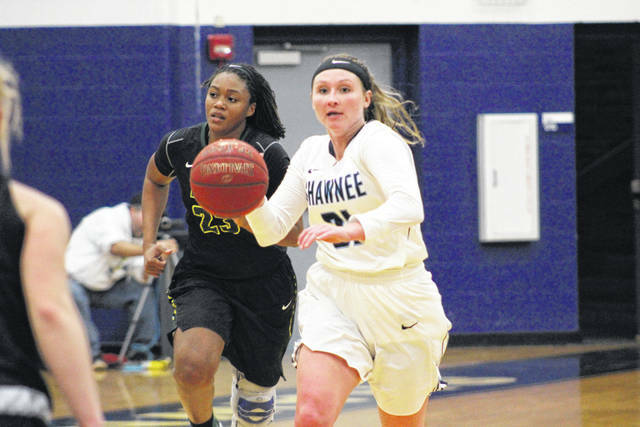 But just like the Shawnee State women’s basketball program has always done, the Bears will stay consistent with the very qualities that got SSU to its top-ranked billing — and to the success that it is so familiar with today. Shawnee State’s contest against Campbellsville will commence on Thursday evening at 6 p.m. For more regarding that contest, check out www.portsmouth-dailytimes.com tomorrow evening and Thursday’s paper for more details. For more on the NAIA Division I Top 25 Coaches Poll, visit http://www.naia.org/ViewArticle.dbml?SPSID=640721&SPID=96231&DB_OEM_ID=27900&ATCLID=211700250 for more regarding the complete poll rundown. https://www.portsmouth-dailytimes.com/wp-content/uploads/sites/28/2018/02/web1_2017_18_shawnee_state_women_basketball_cmyk.jpgThe 2017-2018 Shawnee State University women’s basketball program achieved its first No. 1 ranking since moving up to NAIA Division I from NAIA Division II (since 2010-11) on Tuesday. https://www.portsmouth-dailytimes.com/wp-content/uploads/sites/28/2018/02/web1_rsz_madison_ridout.jpgShawnee State’s Madison Ridout will leave the Bears’ women’s basketball program as arguably one of the greatest all-around talents that the program has ever seen.